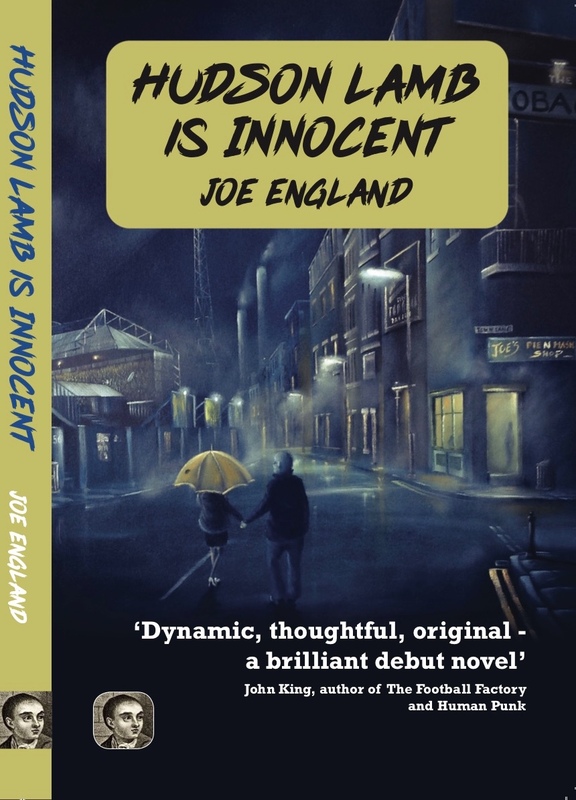 Our latest publication - Joe England's debut novel - Hudson Lamb is Innocent - is now ready to order! Newsflash: It is with great sadness that ELP can inform it's readership of the untimely demise of PUSH magazine. 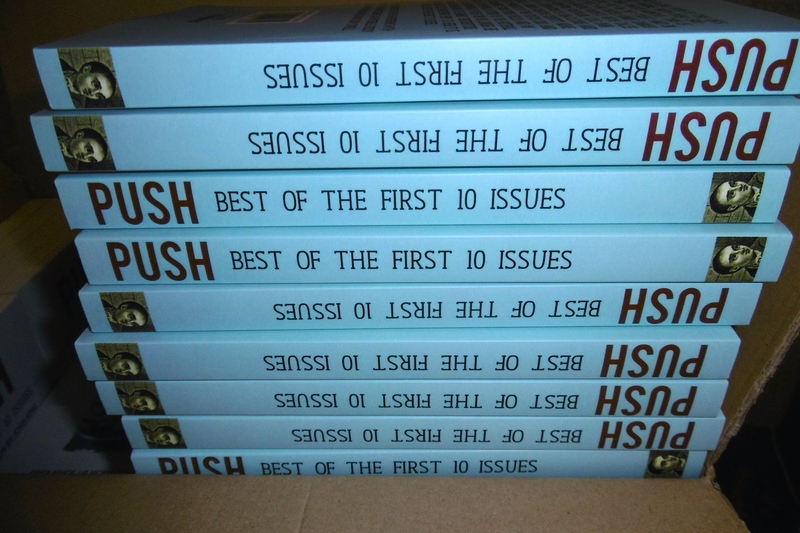 Push, the magazine, was of course the inspiration behind the two ELP anthlogies - PUSH 1 & 2, which are still available to purchase from this website. Head Honcho of PUSH - Joe England - has announced that issue 23 of the magazine will be the last ever. 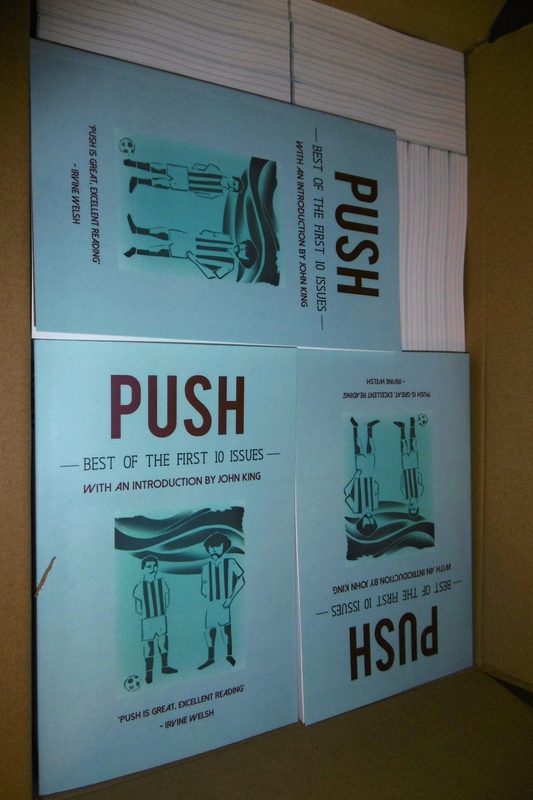 Established in the spring of 2013, PUSH was a runaway success from the very outset, and was soon to become the inspiration for several other DIY punk zines - in what has since been labelled -the UK Zine renaissance. 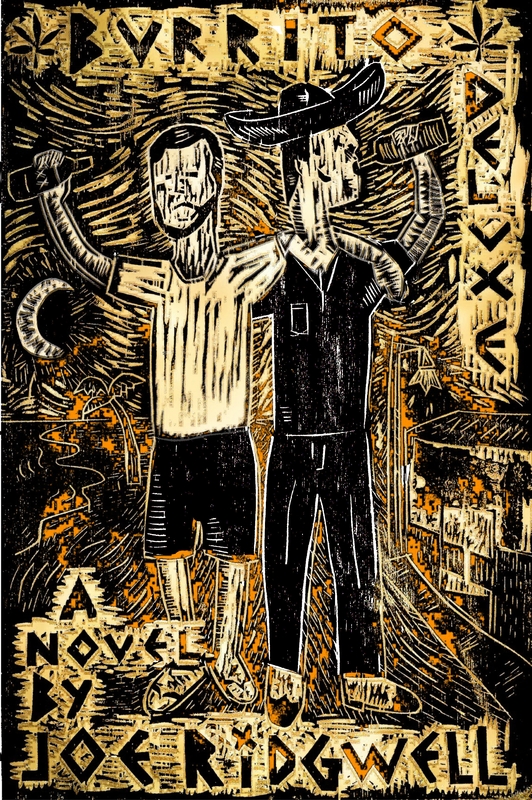 PUSH was a major showcase for cutting-edge working-class fiction that was somehow overlooked by the mainstream. 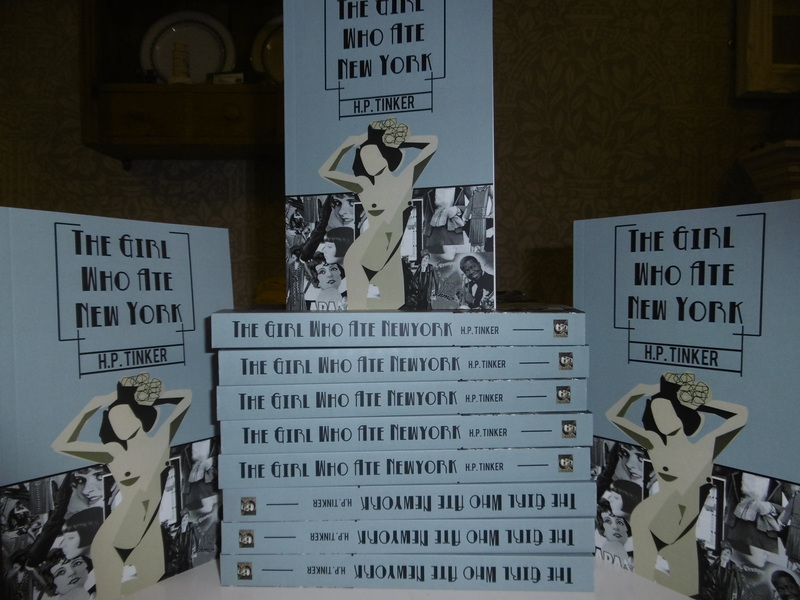 It was also the catalyst for the founding of East London Press in 2014, a press that was set up primarily to provide an outlet for the publication of working-class fiction. And yet it is not all doom and gloom. 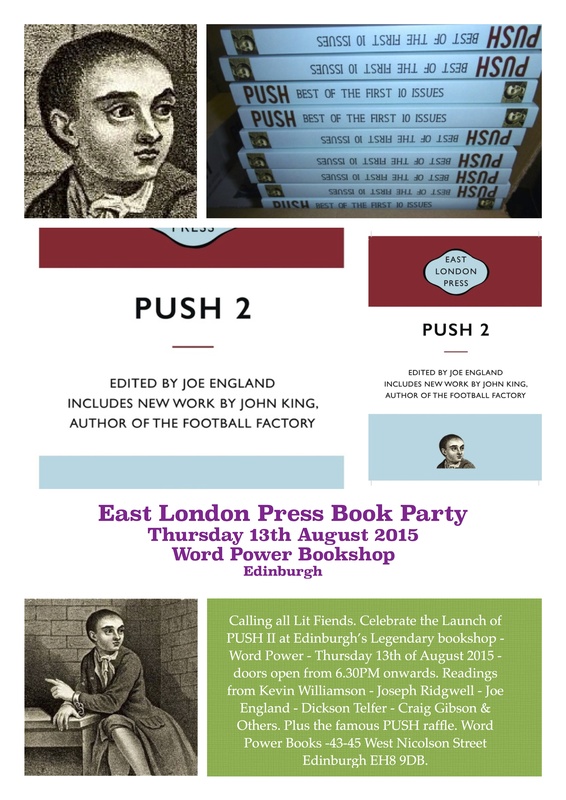 ELP is committed to the publication of yet another PUSH anthology - PUSH 3 , which will be published in 2017. So PUSH is dead - long live PUSH! 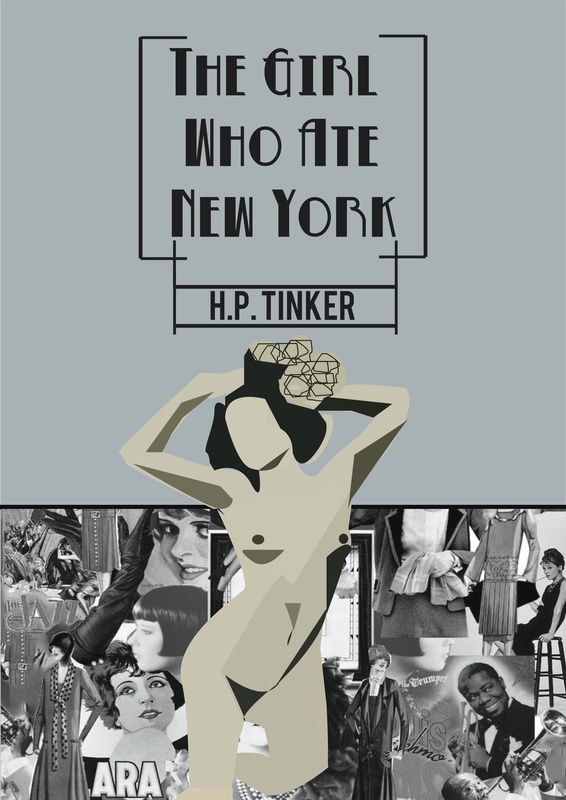 Meet the elusive and mysterious HP Tinker and cult author Joseph Ridgwell in person. 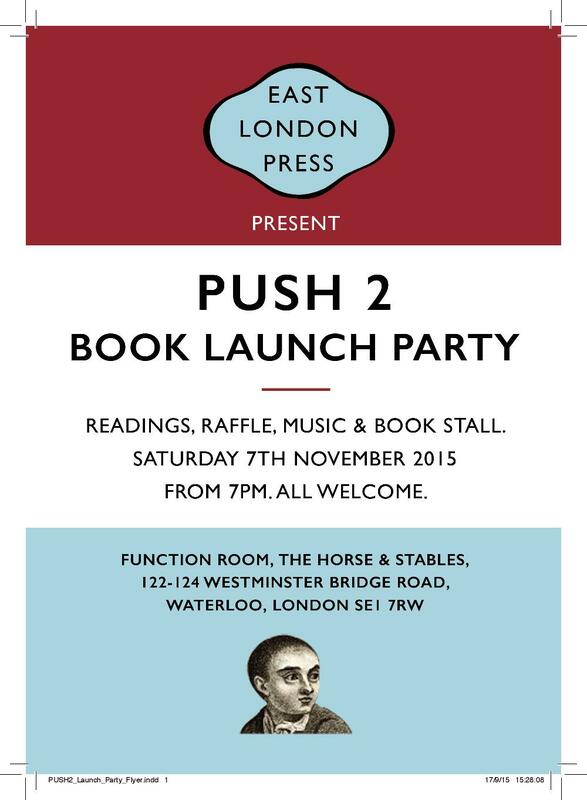 All copies of books plus PUSH 1 & 2 will be available for purchase at a special discount price. 8PM till Late. 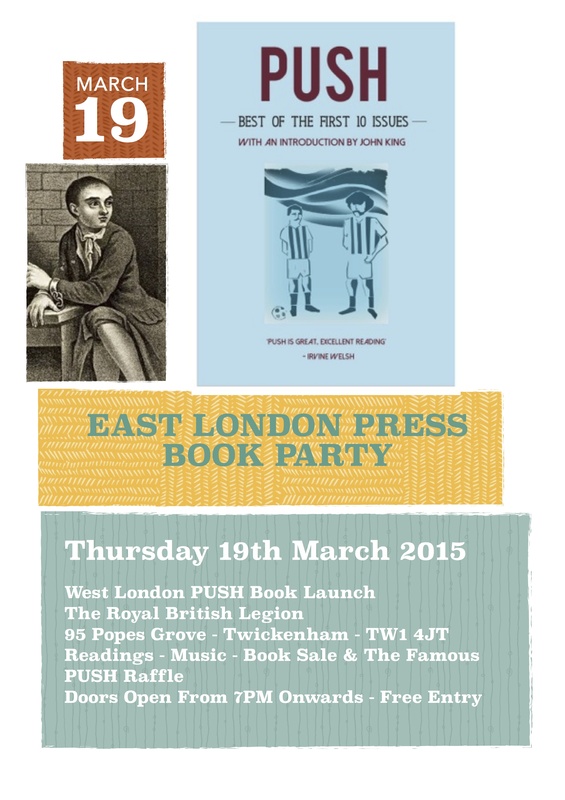 The next East London Press book party goes back to our roots. London Saturday 7th November 2015. See flyer for further details. PUSH Editor Joe England has been a busy bee. 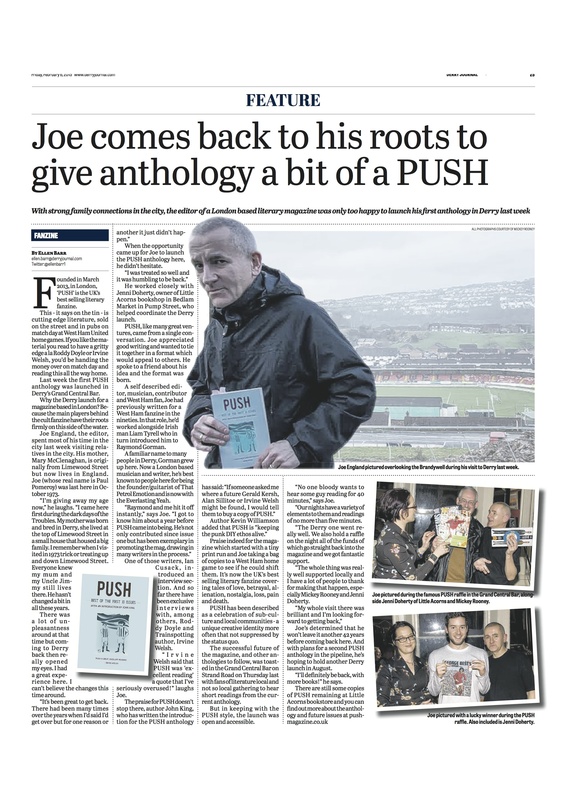 Check out his Derry exploits at Little Acorns Bookstore and his radio interview with Michael Bradley at BBC Ulster, and an article in the Derry Journal. 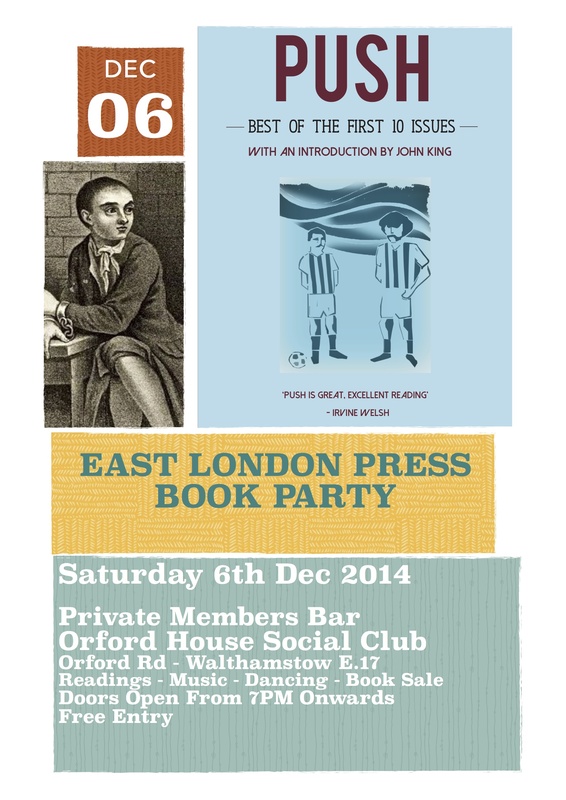 To mark the publication of our first book - PUSH - The Best of the First Ten Issues - We at East London Press have decided to hold a book party. The not to be missed event will be held on Saturday 6th December at Orford House Social Club. See Flyer below for further details of this literary knees-up!